It is with great pride that SCLC honors Drew Adams, SHS Class of 2005, as the 2018 recipient of the Campbell Alumni Award. This summer our boy's wore Drew's name & #14 on shooting shirts. Please join us Sunday, August 5th at Crowell Park for a brief ceremony, starting at 3:30 to acknowledge Drew's contributions to the Springfield Lacrosse Community. Drew will be joining us to share what Springfield Lacrosse means to him. This message is to share the latest Club news and reminders. NOTE - Throughout, text in BLUE denotes general Club info applicable to all members, while text in GREEN reflects Boys only content while RED text reflects Girls only content. Girls Season Is Over – The Girls concluded Sunday @ NXT Crab Cake in MD. Congratulations to the G4/3 (2026/2027) Team on a 4-1 weekend record and defeating Club All American AIM to secure their first Championship! Thank you parents for entrusting us with your daughters. Boys Season Is Over – The Boys concluded like lightening on Sunday with Patriot Games. Congratulations to all our boys on a great season! Thank you parents for entrusting us with your sons. Coach Nacho Memorial & Funeral Services - Lets show our thanks & love to Baratelle Family at this time. 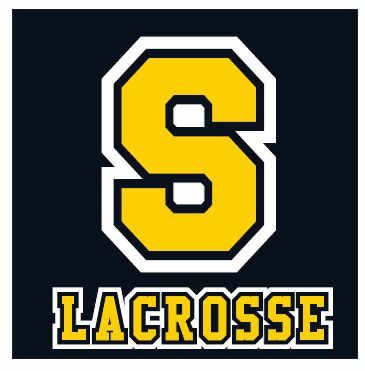 All past and present members of the Springfield Lacrosse Community are invited to join the friends and family of Nick "Nacho" Baratelle for a Candle Lit Memorial TONIGHT @ SHS Cougar Stadium Field from 8-9 p.m. Those who have "Nacho Strong" gear are encouraged to wear it. Visitation on Tuesday, July 17, 2018, starting at 5:00 pm, and Wednesday, July 18 beginning at 9:00 am, followed by a service at 11:00 am at O'Leary Funeral Home, 640 E. Springfield Road. In lieu of flowers, contributions in Nick's memory may be sent to First Descents, 3001 Brighton Blvd, Suite 623, Denver, CO 80216 or to "The Nacho Scholarship Fund," which is being established in his memory for Springfield Lacrosse. ^^NEW^^ - Club Survey Coming Soon – Putting on a quality program is our top priority. We need to hear from you on your 2018 SCLC experience to reinforce the good and identify ways to improve in the year ahead. Be on the lookout for a member survey soon. **Reminder** - Club Wrap-up Party August 5th – Save the date for relaxing Club Wrap-up Party on Sunday, August 5th with OUR Lacrosse Community (2-5 p.m.). All members and family are welcome and we expect to hold our Alumni Award Ceremony with multiple special guests, including MLL Star Drew Adams. See below to complete 20 second RSVP for your family today! **Reminder** - FIL World Championships - The 2018 FIL World Mens Lacrosse Championships from Israel are underway. ESPN and ESPN+ carry all games with many games televised and available for replay. Follow Team USA and Springfield's own FOGO Greg Gurenlian as they pursue Gold. See HERE for latest news. ##Sponsor Spotlight## – State Farm - Jeff DiBlasi – Jeff DiBlasi is your local State Farm here in Springfield. Currently in his 10th year of Agency, Jeff has made it a great commitment of his to be involved in the our community and support organizations like SCLC. Being a State Farm Agent, Jeff and his team are here to help you with all of your Insurance and Financial Service needs. Protecting your Auto, Home, Renters, Personal Property, Business and even to your Life Insurance. Jeff and his team are there to make sure you are properly protected in your time of need. And if that is not enough, they are even able to help with you with your Mortgage, Home Equity Loan, or Vehicle Loan. Stop by his office, call (610-544-1900) or click, www.insurewithjeff.com, to set a time to visit with Jeff so you can see why having a local agent who supports your community is great for you! This weekly email is only a summary. Please review our website where content is revised frequently. 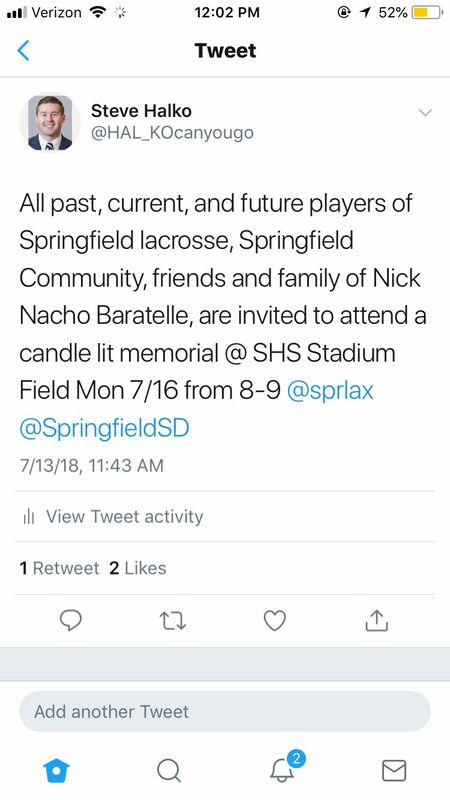 All past, current, and future players of Springfield lacrosse, Springfield Community, friends and family of Nick Nacho Baratelle, are invited to attend a candle lit memorial @ SHS Stadium Field Monday 7/16 from 8-9 pm. It is with deep sadness to inform you all of the passing of alum and current coach, Nick Baratelle. He passed away, at home, late Wed night. Nick battled cancer for the past 3 years. His positivity and courage was contagious in our Springfield Lacrosse Community. He loved our boys and attacked each day with enthusiasm and a smile. It was never about him, always about how he could touch as many lives as possible in the time he had left. We will certainly miss him, but his legacy will go on through his family, friends, teammates, and the Springfield Lacrosse Family. Viewing will be held on Tuesday, July 17 beginning at 5 pm at O'Leary Funeral Home (640 East Springfield Road) and on Wednesday, July 18 from 9-11 with Services to follow (also at O'Leary Funeral Home). We will be offering a bus that will leave from the high school at 6:30 on Tues for all the players and coaches who want to attend. Due to interest, the Springfield Cougars Lacrosse Club Team Shop has been reopened for business. Please take note that the store will ONLY BE OPEN UNTIL Wednesday, July 18th at midnight!! Happy shopping and GO COUGARS!! Use this access code to shop our gear. Early July really exemplifies what our Club is about! Having fun & competing at a high-level. Alumni working nightly to pass on their passion, respect and knowledge to the next generation. Volunteers coaching and organizing for kids needs in NJ, MD and PA and families socializing, creating new bonds and strengthening existing ones. Girls Week #6 – ONLY Girls Grade 4/3 Tournament and Dev Teams have events this week. Dev's are hosting a home Playday Tuesday then conclude season on Thursday. G4/3 Tournament Team has practice Wed/Thur then head to North East Maryland for Crab Cake on July 14-15. See Team Pages. Girls G7/6/5 Teams season is over. Congrats to G5 (2025) for reaching the Championship Game @ Girls Summer Slam in NJ. 2025 went 10-2 this summer with 2 championship finals. Our Girls program has come a long way in only its 2nd Tournament Summer!! Boys Week #6 – All Boys Teams, except 9U Tournament Team, have events this week. Dev's have an away Scrimmage with NXT on Wed night then conclude season on Thurs & Fri. G7/6/5 Tournament Teams practice Wed, Thurs, & Friday nights then head to Patriot Games July 14-15. Patriot Games schedule is LIVE on Tourney Machine. See Team Pages. Boys 9U Tournament Team's season is over. Super job by 9U Coaches & Players for reaching the Championship Game @ NXT Cup. Awesome photos on 9U Team Page. With >60% of 9U Boys eligible to return to 9U Division next Summer, our future remains bright!! **Reminder** - Club Wrapup Party – Save the date for relaxing Club Wrap-up Party on Sunday, August 5th with OUR Lacrosse Community (2-5 p.m.). All members and family are welcome and we expect to hold our Alumni Award Ceremony with multiple special guests, including MLL Star Drew Adams. RSVP link is to come. ##NEW## - Team Shop Merchandise. Our popular Team Shop w/ BSN Sports will REOPEN for one week beginning on Monday with delivery in ~4 weeks time. If you like the merch many families are wearing or just missed out in May, this is your last chance to order for a while. Stay tuned, will message with link Mon. ##Sponsor Spotlight## – Thunderbird II Pizza – A fixture of our community for >25 years deeply committed to organizations like SCLC, Thunderbird Pizza delivers/caters high-quality food experience. More than just great pizza, cheesesteaks, hoagies and wings, TBird has an expansive and creative menu including the Speedy Gonzales Salad, Landers Italian Pizza, Cheesesteak & Buffalo Chicken Rollettes and many more items waiting for you to discover. Find out what makes the TBird special by stopping by their store @ 188 Saxer Ave. (across from Wawa). Co-Owners and brothers Steve & Joe Landers are a friend of Springfield Lacrosse and are sure to treat you right! **Reminder** - FIL World Championships - The 2018 FIL World Mens Lacrosse Championships from Israel will begin this Thursday, July 12th and span 10 days. ESPN and ESPN+ will carry >170 games with 14 games televised. Follow Team USA and Springfield's own FOGO Greg Gurenlian as they pursue Gold. See HERE for details. Good VIDEO. This weekly email is only a summary. Please review our website at least once a week, especially your Team page(s). Web content is revised daily. Happy Independence Day to all. Just getting ahead a bit by publishing next week’s message. **Reminder** - Club Vacation. There will be NO Club events between Fri., June 29th - Wed., July 4th, with some teams getting an even longer break. See Club/Team calendars online. Girls Week #5 – ONLY Girls Grade 7/6/5 Tournament Teams have events this week. Those teams practice Thursday night July 5th then head to Girl’s Summer Slam in Tabernacle, NJ, the weekend of July 7-8. See your Team Page. Boys Week #5 – ONLY Boys Grade 4 & 9U Tournament Teams have events this week. Those teams practice Thursday & Friday night July 5th & 6th then head to NXT Cup in West Chester, the weekend of July 7-8. Expecting to see NXT Cup game schedule up on Tourney Machine by the end of this weekend. Please register/waiver your sons with NXT website (see prior messaging). See your Team Page. **Reminder** - Club Wrapup Party – Save the date for relaxing Club Wrap-up Party on Sunday, August 5th with OUR Lacrosse Community. All members and family are welcome and we expect to hold our Alumni Ceremony with Special Guest. **Update** - Team Shop Merchandise. 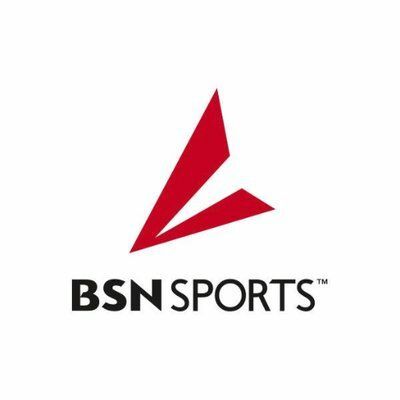 Our May Team Shop fundraiser through BSN Sports has shipped and should have been delivered direct to your home no later than Friday, June 29th. ##Sponsor Spotlight## – Strength For Life – Far more than a local gym, Strength for Life of Springfield offers you the ability to develop and apply strength in all aspects of life. They believe that in order to live the best life possible, one’s focus must be on improving physical, intellectual and emotional strength. When you join SFL, there is a two-way commitment to achieve your health goals. Their certified trainers tailor workouts to your specific needs, guide you through proper form & technique, talk you through challenges, and cheer you on as you excel through each step. They even have options for teens looking to safely begin their personal strength journey! Find out what makes the SFL Team special by stopping by their studio @ 1440 Wallingford Road (across from Springfield Mall). Co-Owners and Personal Trainers Ed Winfield and Jim Gallagher are a friend of Springfield Lacrosse and would love to meet your family! ^^NEW^^ - FIL World Championships - The 2018 FIL World Mens Lacrosse Championships from Israel will begin Thursday, July 12th and span 10 days. ESPN and ESPN+ will carry >170 games with 14 games televised. Follow Team USA and Springfield's own FOGO Greg Gurenlian as they pursue Gold. See HERE for details. Good VIDEO. Girls Week #4 – This is a busy week with all Girls teams traveling to scrimmage West Chester on either Mon. or Tue. + “regular” practices on Wed. & Thur. Pay attention to your team calendar online as some scrimmage times and locations changed last week. NOTE - Boys also practice Wed/Thur so Halderman should be extra busy those nights. Boys Week #4 – This past weekend was another strong showing for SCLC Boy’s @ Summer Slam. Congrats to Team 2026 AND Team 2024/25 for each winning their divisions! Second year in a row we captured 4th grade division and was truly impressive in 2024 with half our team playing up by grade. Remarkable outcome for a Township-based Club competing against all large Regional-based Clubs. Thanks to so many families for organizing for a memorable event! The Boys have a "regular" practice week with all teams @ Halderman on Wed. & Thur. before Club Vacation starts. Second & Final Girls Tournament - The 2x oldest Girls teams will attend the Girl’s Summer Slam in Tabernacle, NJ, on July 7-8. The G4/3 Girls team is traveling to the Crab Cake in North East, MD, the weekend of July 14-15. Third & Final Boys Tournament - The 9U & 2026 Boys teams will attend the NXT Cup in Downingtown on July 7-8 and the 2x oldest Boys teams will attend the Patriot Games in DelCo (TBD) the weekend of July 14-15. **Reminder** - Club Vacation. There will be NO Club events from Fri., June 29th - Wed., July 4th, with some teams getting an even longer break. See Club/Team calendars online. ^^NEW^^ - Club Wrapup Party – Save the date for relaxing Club Wrap-up Party on Sunday, August 5th with the Springfield Lacrosse Community. All members and family are welcome and we hope to hold our Alumni Ceremony. **Update** - Team Shop Merchandise. 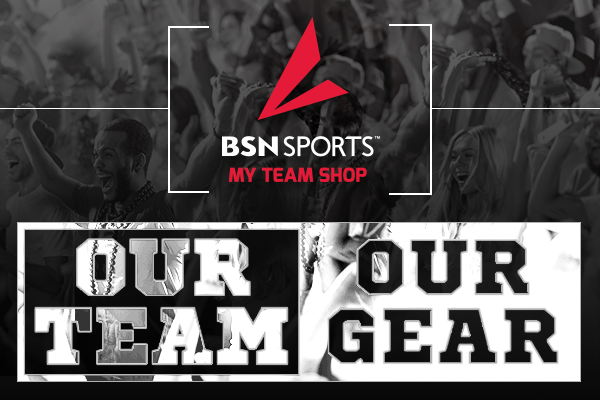 Our May Team Shop through BSN Sports will hopefully be delivered soon. Some items may be shipped direct. Look for updates from Shannon Delaney. We raised few hundred dollars; thank you all! **Reminder** - Extras For Sale – We have various extras for purchase. Message us to claim any item. ##Corporate Sponsors## – We gratefully acknowledge our sponsors for supporting us. These local businesses are responsible for helping to keep costs under control and never leaving out any Springfield kid! · Strength For Life – Primary Sponsor. Find your own strength for life, across from the Springfield Mall. · Jack Clark & Sons Rubbish Removal – 5-year sponsor!!!! Thank you Jim Clark!!!! · State Farm Insurance – 3-year sponsor!! Ask our own Jeff DiBlasi to help insure you. · Thunderbird II Pizza – 2-year sponsor! Thx Steve Landers @ TBird for supporting the Lax Community! · JK Gymnastics – 2-year sponsor! Ask Judy Kennedy-Puppio (JK) about their gym activities for ages 3-12! · Devon Prep – NEW sponsor! Thx to Pat Kane for joining our team! Girls Week #3 – This is our third week together after tournament (Summer Rise) showings for two teams over the weekend, with Grade 5 (2025) going the distance before falling 10-8 to regional NY Club T3 Cobras in Championship Game. The week ahead is a “regular” practice week for Girls. Review Team pages online for team-specific schedule & news. Boys Week #3 – This is our third week together after first tournament (Meltdown) for all teams this weekend. Our Grade 4 (2026) Team went 4-1 on the weekend, narrowly missing playoff but securing 5th place out of 13 teams. Thanks to coaches and so many great families for supporting the boys all weekend! The week ahead is a “regular” week for Boys with all tournament teams attending the Boys Summer Slam, June 23rd & 24th. All Summer Slam players MUST be Registered/Waivered with tournament site this week. Each parent of a qualified player recently received an email invitation to JOIN your child to the correct team. Review Team pages online for team-specific schedule & news. **Reminder** - Team Communication - Lots of questions here. All designated Coaches and Team Parents have the ability to message their teams by email/text and to post website content. In addition, ALL MEMBERS have the ability to directly message their teams using the SI Play App from Smartphone. After you download the App, you just need to enter the email account associated with the SCLC website and it will recognize you. **Reminder** - Club Vacation. There will be no Club events from Fri., June 29th - Wed., July 4th, with some teams experiencing an even longer break in action. See Club/Team Calendars online. **Reminder** - Lacrosse Conditioning Program – Thanks to our key sponsor Strength For Life of Springfield for teaming up to offer members this exciting training program. This 6 week program is for Boys & Girls leaving G4+, is starting June 25th and so you must register your interest early this week. Link to the program description is below. Contact Ed or Jim @ SFL ( or ) w/ questions. **IMPORTANT** - Our coaches respectfully ask all parents & siblings to steer clear of the practice surface at Halderman. We recognize it's crowded at times & just ask everyone to walk AROUND fields as you come and go. ^^NEW^^ - Pictures Wanted – We are always in search of quality team & player action shots for our website, especially for teams who have limited or no web content. Submit your photos and we’ll do our best to post them to your Team page. Can also post/share pictures using SI Play App. **Reminder** - Use of Bounce Backs – Our Club has temporarily installed 3 quality bounce back nets near the scoreboard at Halderman Field. Members are always welcome to use them before or after practice or anytime. Girls Week #2 – After last week's kickoff plus an early tournament for G4/3 over the weekend, week ahead is a “regular” practice week for Girls. Next Girls tournament is for the G5 and G7/6 teams (Summer Rise - West Chester) at the end of the coming week (tournament players only attend). Please review your Team page online for your team-specific schedule and news. Boys Week #2 – After last week's kickoff, week ahead is a “regular” practice week for Boys, with the first Boy's tournament (The Meltdown - West Chester) ending the week (tournament players only attend). Please review your Team page online for your team-specific schedule and news. ^^NEW^^ - Volunteers. Parents are encouraged to begin organizing for team specific tournament needs. If you would like to be a designated Team Parent, let us know so we can change your settings to allow you to communicate organizing details directly through your SCLC website account. **Reminder** - Lacrosse Conditioning Program – Thanks to our key sponsor Strength For Life of Springfield for teaming up to offer members this exciting training program. This program is for Boys and Girls currently in G4+, is starting soon and so you must register your interest. Link to the program description is below. Contact Ed or Jim @ SFL ( or ) w/ questions. **Reminder** - Extra Uniforms & Socks. Extra socks (SMALL, $10 each) and boys uniform articles (shorts in YXL and YS for $20 and Shooting Shirts in YM or YS for $10) are available, while supplies last. Send a message if you want to claim any item. ##Important## - Halderman Congestion. Our facility becomes very busy at times, especially on Wed/Thur between 6:15 - 6:45. Please do not block resident driveways or park on Springfield Road, even temporarily. ##Important## - Member Conduct. A Club’s reputation is a direct reflection of the judgment and character of its members. Fortunately, we have a great group of families. All SCLC members, including Coaches, Players and Parents are reminded to always act with honesty, integrity and comply with US Lacrosse Code of Conduct (and rules of tournaments we participate in). Anyone with conduct-related problems, questions or concerns are invited to contact our Club Directors (contact info posted online) or submit a confidential inquiry online in our Feedback To Our Board page. 2018 Summer Kickoff – This week begins our 5th season on the Boys side & 3rd season on Girls side. We are excited to put on another strong program; one with an emphasis on teaching and instruction, teamwork and pride and most of all fun! It’s worth pausing to reflect on why we do all this. We are here to allow all our kids access to a competitive lacrosse experience while playing and growing together as friends and engaging with our exceptional alumni. We ask everybody involved to approach this season with optimism and pride; together we have so much to be thankful for! Boys Program - Boys have 4x separate tournament teams plus 1x U9 Developmental Team. Boys practices will commence on Tuesday as already reflected in each Team’s Schedule online. See your Team page online for team-specific details (including complete schedules and rosters) and messaging. Girls Program - Girls have 3x separate tournament teams plus 2x U9 Developmental Teams. Girls practices will commence on Wednesday as already reflected in each Team’s Schedule online. See your Team page online for team-specific details (including complete schedules and rosters) and messaging. **Reminder** - All Uniforms will be handed out Monday, June 4th at Halderman Field from 6-7 p.m. See separate Club News article for complete details. ^^NEW^^ - Parent, Director & Coaches >21 Social – Saturday, June 9th from 8-11:00 p.m. All >21 members are invited to attend a social at Dukes Tavern from 8-11 p.m. $25 per person fee (cash at the door) includes domestic draft beer, domestic bottles, wine, soda and assorted appetizers. Come say hello and kick off our season with the Springfield Lacrosse Community. **Reminder** - Safety Alert As PM weather is often unpredictable and we have no shelter to offer your child in event of an emergency, we strongly advise you to never leave your child unattended at any practice sessions. We are excited to welcome many new families to our Club in 2018. We are glad you are with us! Please familiarize yourself with our website, as new content is posted daily/weekly. With so much going on and nearly 200 members accross 10 teams, we cannot hope to cover everything in emails. Uniforms have arrived and are ready for distribution on Monday, June 4th beginning at 6 p.m. from Halderman (front lot) as planned. Members who are paid in full are welcome to retrieve their Uniform Package and/or Supplementary Articles. Girls Uniform packages (Jersey & Shorts) & Boys Uniform packages (Jersey, Shorts, Shooting Shirt) are only available to members who selected the full uniform option upon registration. All Girls members, regardless of registration type, will recieve 1 pair of socks. All Boys members, regardless of registration type, will recieve 1 Shooting Shirt and 1 pair of socks. Should there be any extra or unclaimed jerseys, shorts, shooting shirts or socks, we will make them available to members for purchase @ cost. There will be a signup sheet for extras (first come, first served) on Monday night or you can send a simple message to with your request. We need ~4-6 hands to help with the Handout on Monday. Please arrive by 5:45 if able to help. All Uniform Packages have been delivered to your specific sizing selections from months ago. We don't order extras for most articles and we can't reorder because of long lead times. We understand it can be stressful to find a sizing choice does not fit well. It happens. Let us know and we'll do our best to find an alternative and match you up with another parent looking to trade. Uniform Packages can be released to another parent for distribution, without advance notice. Supplementary Articles will be available again for handout later in the week so not critical to change plans to pickup a pair of socks, for example. Quick message to inform that our 2018 Summer Lacrosse Program is on track to begin the week of June 4th as planned. Club website is fully updated for Girl's and Boys with Teams, Calendars, Coaching Staff's and Event Details posted. Take a moment this week to familiarize yourself with our content. Also, uniforms have arrived and we'll kickoff the season with Uniform Handouts on Monday, June 4th @ 6 p.m. from front parking lot of Halderman Field. Handout volunteers needed. Boys practices begin Tuesday, June 5th and Girl's start Wednesday, June 6th. As we get underway, we'd like to highlight local businesses that have partnered with SCLC in 2018. Please be sure to THANK THESE OWNERS for supporting an affordable & competitive lacrosse experience for our children! Strength For Life of Springfield [PRIMARY] - Helping you achieve your personal best, by focusing on improving in three key areas: physical, intellectual and emotional strength. Co-owners & and their motivated crew of personal trainers strive to help you meet your personal health goals. Conveniently located accross from the Springfield Mall @ 1440 Wallingford Road, SFL offers personal training and group classes for adults and teens. Jack Clark & Sons Rubbish Removal – Family owned and locally operated since 1976, Jack Clarck & Sons has all your trash and disposal needs covered. 5-year Club sponsor, thank you !!!!! State Farm Insurance - DiBlasi Agency – The Jeff Diblasi, State Farm Agency is a Full Service Insurance Agency. Jeff can help with your Auto, Homeowners, Renters, Life, Health and other Financial Service Products. 3-year Club sponsor!!! Ask our own to help insure what matters to you. Thunderbird II Pizza – A leader in community reinvestment in Springfield, Thunderbird Pizza passionately supports organizations like SCLC that make this a great place to live and work. With an ever expanding quality menu, catering and specialty offers, be sure to think Thunderbird this season. 2-year Club sponsor, thanks for supporting us!! JK Gymnastics - JK Gymnastics offers motor skill development programs for children age 6-months to 3-years. For ages 3-12, JKG offers non-competitive gymnastics classes to build confidence, strength, coordination and flexibility for students of any ability. Whether you want to learn how to tumble, get some exercise or just have fun, you will find something that meets your gymnastic needs. 3-year Club sponsor, thanks to for supporting us!!! Devon Prep - Devon Prep is a private, Catholic, college prep school, grades six to twelve, focused on the holistic education of young men for life. NEW Club sponsor for 2018. Thanks to for supporting the lacrosse community! These local businesses are directly responsible for helping to keep costs under control and never leaving out any Springfield Kid that wants to play! Off we go! Club messaging will kick off next week, with Team messaging shortly thereafter. Our popular Team Shop w/ BSN Sports will REOPEN for one week beginning on Monday July 9th with delivery in ~4 weeks time. If you like the merch many families are wearing or just missed out in May, this is your last chance to order for a while. Stay tuned, will message with link Mon. THE TEAM SHOP HAS CLOSED AND WAS DELIVERED BY JUNE 30, 2018. THANK YOU! The 2018 Springfield Cougars Lacrosse Club Team Store is now OPEN for business!! See below. Now through Thursday, May 31st only. 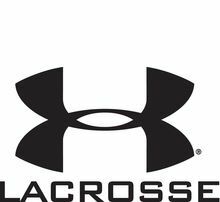 Please click on the link below to view our spirit wear items and spread the word or the link to our lacrosse community and supporters!There’s something for everyone in the Team Store (mens, women, youth) and a portion of the proceeds support our Club. Please click on the link to check out our spirit wear to support our club!! For those who missed it, 2017 saw the professional retirement of 2 of the greatest Springfield lacrosse alumni ever. In this edition, we feature Kyle Sweeney, SHS Class of 1999. Kyle retired from the MLL as the All-Time Leader in games played! Congratulations Kyle! News article is below followed by a link to Kyle's Retirement Letter (great references and photos to his Springfield roots). New York Lizards defenseman Kyle Sweeney – a Springfield-Delco graduate and 3-time champion with the old Philadelphia Barrage who also starred for many years with the Philadelphia Wings – announced his intention to retire from Major League Lacrosse Thursday in a heartfelt letter posted in The Players’ Tribune. After 15 seasons in the league, Sweeney ranks as the all-time MLL leader in games played with 170. Sweeney was selected to the MLL All-Star Game nine times, been named All-MLL three times, and has won the Steinfeld Cup four times. He is ranked sixth all-time in groundballs with 500. Sweeney finished his career with 41 goals, 27 assists and 68 points. Sweeney appeared in a total of 10 games with the Lizards this past season and picked up 17 groundballs. New York was the fourth different franchise that Sweeney played for in his career. The Wings drafted Sweeney in the eighth round (83rd overall) of the 2003 NLL Entry Draft. He followed the team when it moved to Connecticut as the New England Black Wolves. He retired from indoor play in 2015. Sweeney played for the U.S. Men’s National Team in the 2006 and 2010. In 2010, his team won the World Lacrosse Championship in Machester. He also played for Team USA in the 2007 World Indoor Lacrosse Championship. Sweeney was a four-year standout at Georgetown University. He was named ECAC Rookie of the Year in 2000. 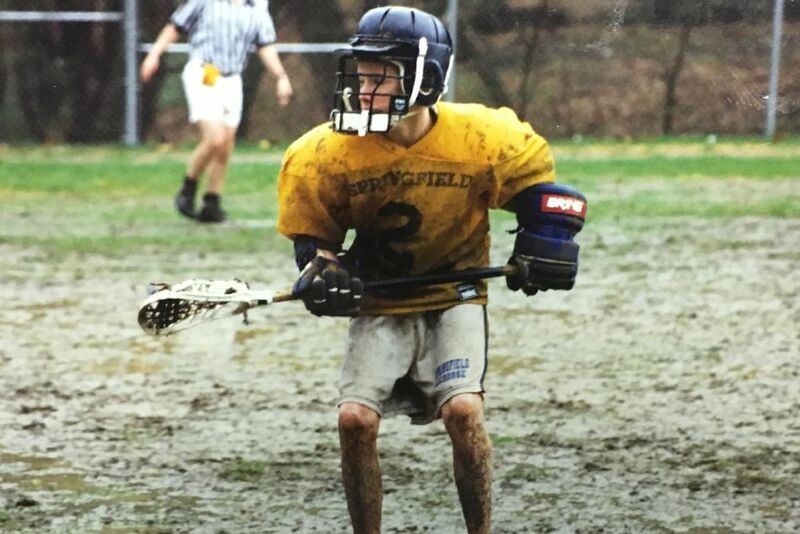 He was a two-time ECAC Defensive Player of the Year, and three-time USILA All-American, and holds Georgetown’s all-time ground ball record with 229. He served as co-captain of the 2003. Academically, he was a double major in International Business & Marketing as well as minor concentration in Sociology. Sweeney earned high school All-American honors, was selected as the All-Central League MVP and named to the All-Delaware County team as a senior at Springfield-Delco. He also played football and basketball at Springfield. Sweeney also played for the original Duke’s Lacrosse Club’s men’s teams and was a key member of the “Four Horsemen” of standout defensemen as dubbed by founder Ebe Helm. “I’ll always appreciate how our parents didn’t hesitate to support this new interest of ours,” wrote Sweeney in his retirement letter. “They agreed to buy us all the necessary lacrosse equipment (which wasn’t cheap) and to sign us up for the town league. Looking back as an adult, I realize how big a sacrifice it was. We were a middle-class family. My parents both worked full-time, and in fact they both had second jobs almost my whole childhood. My dad tended bar at night throughout my childhood and my mom managed a restaurant in the summers. They were selfless. As our fourth summer with SCLC finished this past week, we just wanted to share some thoughts. First, the Springfield Lacrosse Community is as strong as ever owing in no small part to the loyalty, support, dedication and enthusiasm of our members. This Club, our Club, is continuing to bring our community together. The bonds that grow between the players, alumni, HS players & their families are tangible and something to be proud of. These bonds will serve us well in the years ahead. Second, we believe we are meeting our objectives and furthering our mission. Nearly 200 boys and girls in 2017 had quality practices; passionate hands-on coaching; challenging game play; fun and learning. We hope you agree and we’ll be asking for your feedback soon. Third, we’re especially grateful for the opportunities SCLC provides our alumni. One of the biggest benefits of our model is the alignment of our alumni coaches & youth players. And the benefit here goes beyond the youth. It’s important for our HS and recent alumni to realize the positive role model they can be for others. Being involved in our Club enables them to be more confident, assertive and prepared for career and life in general. And it draws the Alumni back to our community regularly. Fourth, its important to reflect on the fact that our Club is entirely volunteer driven. Without the year-round dedication of a few and the in-season support of many selfless volunteers, we could not put on such a quality summer program. THANK YOU! Special thanks to Jessi Gougler, Mike & Deb DePetris and the Board of Directors for their tireless support of our program. If YOU feel a calling to join us in our mission, please let us know. In closing, we know that you have a lot of Club Lacrosse choices, some of which have clear strengths compared to SCLC. When you evaluate the total package, however, we believe that SCLC offers the most compelling, well-rounded and cost effective opportunity for your child to have a positive summer lacrosse experience. We are thankful that you are with us and look forward to many summers ahead. As we close out summer and begin a new school year, please remember to look out for one another and keep doing all the right things, on and off the field! BE THE BEST & see you Sunday, August 6th at the Wrap-up Party!